John Cordell is urging people to check their breaker box to see if it was made by Federal Pacific, which is now out of business. Many homes in the Cincinnati area were built between the 1950s and 1980s, when these breaker boxes were in use. Today we launched our new and improved website that’s even easier to use on mobile phones, tablets, and other devices. Why Have a Pre-Listing Inspection? 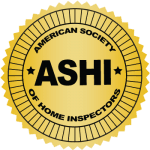 Why Have a House Inspected?